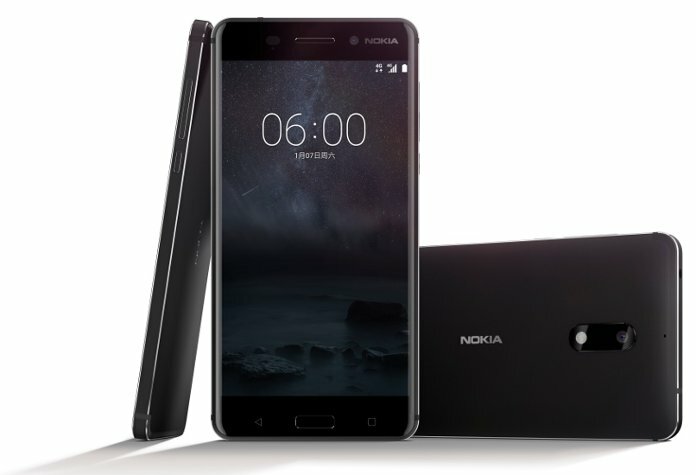 At year 2017, Nokia start to release their smartphone again using Android operating system. The first model which introduce by Nokia is NOKIA 6. This phone have dual simcard slot to work with 4G LTE or EDVO CDMA network provider. We are now try to give more important information about NOKIA 6 Android smartphone before we buy this phone. Why we should buy NOKIA 6? There are some important features to know, we simplified by 5.5 inches LCD screen, good camera for both front and main camera, enough storage and some other more. What is Advantages and Disadvantages of NOKIA 6 Android ? NOKIA 6 is the first Android smartphone which develop by HMD Global. This company buy Nokia mobile brand from Microsoft. HMD Global do partnership with Foxconn to manufacture Nokia Android smartphone. Some previous Nokia staff are joining to HMD Global at Finland, the place where Nokia born. For give more good advantages for running applications, watching movie or playing some games, NOKIA 6 use 5.5 inches LCD screen smartphone. Playing all movies going to be fun because NOKIA 6 screen use AMOLED type with 1080p Full HD resolutions at 1080 x 1920 pixel. We can skip to add additional screen protector because NOKIA 6 use Corning Gorilla Glass version 3. Advantages of NOKIA 6 use Android Nougat version 7.0 when the first time release in the market. Like other Android smartphone, NOKIA 6 will get OTA (over the air) firmware upgrade when new version release. This phone use processor from Qualcomm, MSM8937 Snapdragon 430 which can run with Octa-core 1.4 GHz Cortex-A53 clock speed. Nokia also know that smartphone also use for playing games, and NOKIA 6 already use dedicated GPU (graphic processor unit) Adreno 505 which come together with Qualcomm processor. Big internal memory of NOKIA 6 is other goodness. All applications will use internal memory as default location when we install applications either from Google Play Store or using APK files. Internal memory is faster then external memory, therefore it very good to have 64 GB internal memory inside NOKIA 6. Bigger RAM also important when Android run multitasking applications. NOKIA 6 have 4 GB RAM which is big enough for today applications. How about if we need more storage? NOKIA 6 have dedicated external storage slot which can use MicroSD simcard maximum 256 GB capacity. We are recommended to save photos or video recording or downloaded files like mp3 music or movie at external storage card, but please use minimum class 10 microSD, because more faster read/write speed will give better performance for NOKIA 6. Weakness of usual Android smartphone is about sound quality, therefore NOKIA 6 bring better sound quality with Dolby Atmos sound system technology give dramatic cinema surround sound system at Android smartphone, richer audio listening experience for all entertainment at our gadget. This sound technology become more fantastic when we connect NOKIA 6 with external sound system amplifier when playing music or watching movie or playing game as well. This article is talking about nokia 6 disadvantages, nokia 6 drawbacks, Nokia 6 disadvantage, disadvantages of nokia 6, drawbacks of nokia 6, nokia 6 advantages and disadvantages, nokia 5 disadvantages, nokia 6 cons, nokia 6 pros and cons, nokia 6 good or bad. You can find other topic at our related post bellow. You forgot the processor. It’s just a Snapdragon 430. I’d expect a 630 at the least. Can’t believe they compromised on the processor. This makes it just like the Redmi Note 4 which is infact cheaper than this.